Looking for a luxury retirement home? 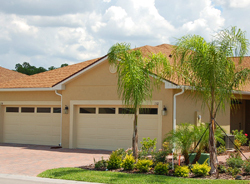 Century Residential has just what you are looking for in our maintenance-free villas at Vienna Square in beautiful Winter Haven in Central Florida. With the mild Florida climate, easy access to two coasts for beaches, historic sites in St. Augustine, museums in Tampa, theme parks in Orlando, theater, restaurants and shopping everywhere, this is the ideal place to retire. 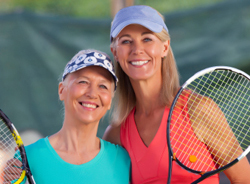 There are many Florida retirement communities to choose from, but we would like to recommend that anyone considering retirement in Florida visit Vienna Square, and set the bar high for any other places you look at. Century Residential is well known in Florida for their long history of designing and developing high quality retirement communities; we have over thirty years of experience and have won many awards. When we say luxury retirement home, we mean luxury. Vienna Square features Villas that are maintenance-free – that’s right, ZERO exterior maintenance; you will never have to deal with yard work, landscaping, roof repair or exterior painting again! Our villas also come fully equipped with 78 channel basic cable and a fully functional security system. If you also want housekeeping and laundry to be taken care of for you, those services are available as well. 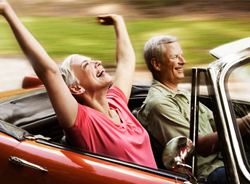 If you want to retire in luxury, the community should also be luxurious. 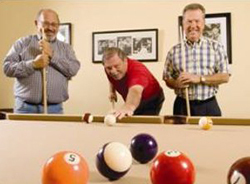 Vienna Square features a huge club house and fitness center, with regular organized activities as well as plenty of opportunities to make friends and dance, swim, or play billiards or tennis. Vienna Square is of course a gated community, and the surrounding area is pleasant and friendly, with a plethora of shops, restaurants, county clubs and places of worship. You have all the advantages of town living with none of the disadvantages. We all know that there will come a time when a bit more assistance will be necessary, which is why we have our Continuing Care Campus. This is an area of our community where seniors can move when they need more helping hands, skilled nursing or rehabilitation after surgery. There are various levels to choose from, so a plan can always be made to suit your needs. We also have an array of services that can be delivered directly to your villa, so you will always have the care you need available. We are so sure you will love Vienna Square that we will make arrangements for you to spend the night, tour the facilities, and meet the residents and staff. Just contact us and Century Residential will be proud to show you what a real luxury retirement homelooks like!